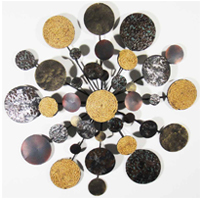 It is a contemporary abstract sculptural design constructed in an eclectic style of recycled old materials, which are sleek, refined and stylish. The original industrial Victorian water pipes create an organic framework, which is contrasted with a modernist, more contemporary design of 16GA galvanized steel sheets. These, when allied to natural woods, in American cherry wood and Brazilian red wood, creates a sculptural form with an object-directed approach which breaks away from traditional representation of physical objects. It explores the relationships of forms and colours, whereas more traditional art represents the world in recognizable images. Have you considered creating an urban sculptural modernist feel for your office? This is unique designer wall art, but so too are the sculptural forms created at Brilliant Wall Art. Metal wall art sculptures are the vogue way of brightening up any room, choose from our stunning range featuring colourful, creative and unique designs, our metal tree wall art being a particular favourite for both homes and offices. 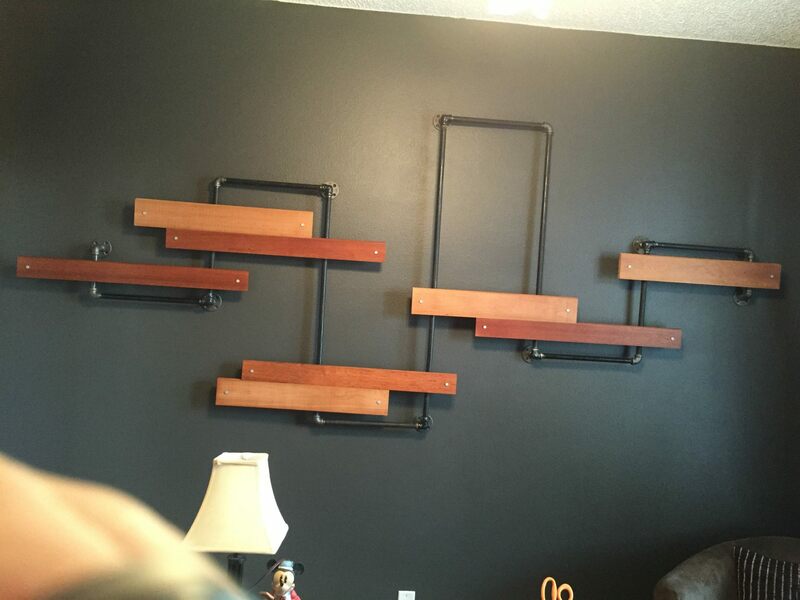 If you are a fan of modern wall art, we can guarantee you will find the perfect pieces to complete any room. The Eye Of Petra Abstract or Rope Solar Abstract design are always a fun and conversational addition to any collection. All our metal wall art items are carefully crafted from metal and easy you for to wall mount. Perhaps you know someone who loves metal wall art decor, with various designs across our site making an ideal gift for any occasion? With metal wall art flowers, fish, sailing yachts, lizards any much more to choose from, you will be spoilt for choice! Don't forget to take advantage of our 10% Off Everything Voucher which expires this Thursday 30th April!!! !